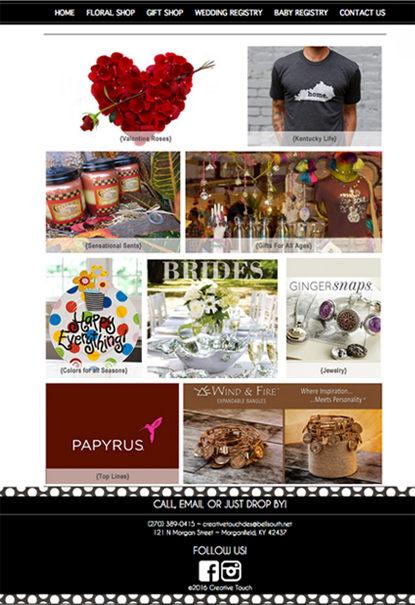 Custom Website design and developed for Creative Touch. These clients have such a beautiful, modern and sleek store they requested a custom website design to reflect exactly that. 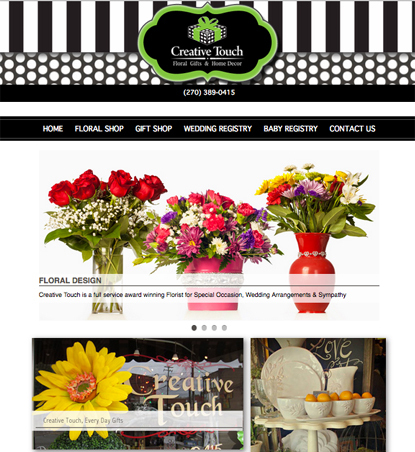 Creative Touch required a completely custom design for their website. 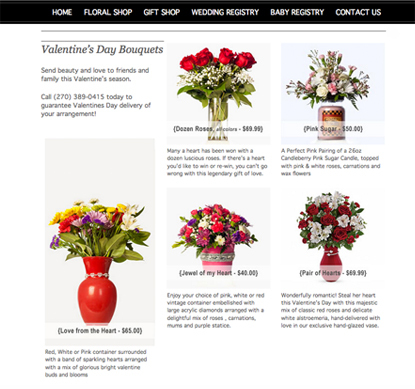 This would help them stand apart from other florist while also conveying the welcoming feel they have worked so hard to create in their store. The overall design concept for this completely custom website uses the polka dots and whimsical curves from their logo. Pulling the stripes from their awning, that welcomes you to their store, also helped bring the store to the website. Creative Touch offers several seasonal arrangements but wanted to feature a select few. This unique design helps feature each piece, while giving the buyer all the information they need. Creative Touch does not simply create amazing floral arrangements. They also offer an amazing variety of gifts and home decor items. To keep this website design clean and easy to read we selected a just few to feature. This also allows us to change out the seasonal lines they carry keeping the site fresh and informative!